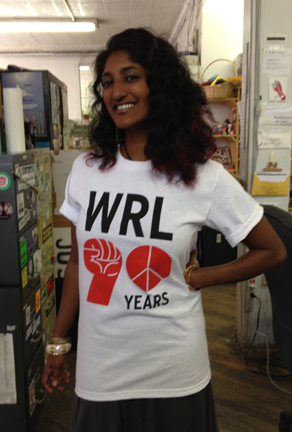 Celebrate WRL's 90 years of activism against war and militarism with this brilliant t-shirt featuring our 90th Anniversary logo, designed by artist Luba Lukova. These short-sleeve cotton shirts are union made in the USA. Red and Black Logo on White shirt. 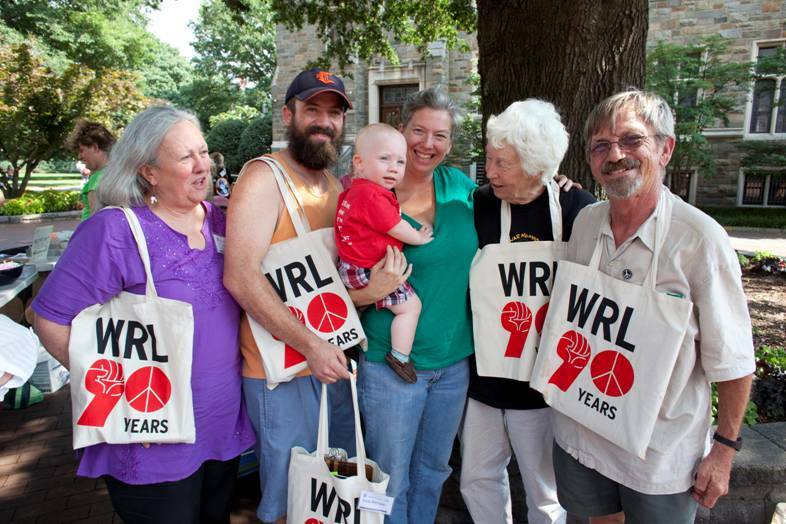 Celebrate WRL's 90 years of activism against war and militarism as you carry your groceries, books, knitting... or whatever! 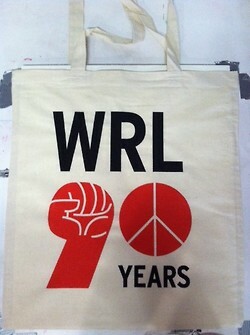 These bags feature our 90th Anniversary logo, designed by artist Luba Lukova. 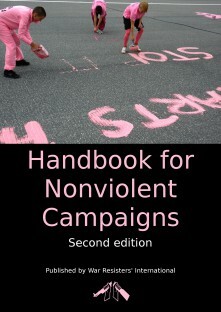 They were printed on eco-friendly fabric by our friends at Occupy Wall Street Screenprinters. 7 oz. 65/35 poly cotton twill fabric, with 100% natural web handles. 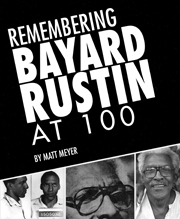 One hundred years after the birth of human rights icon Bayard Rustin, his complicated legacy pushes us to analyze our own complicated times...As the dreams and nightmares of a new generation are being forged against a backdrop of pepper spray and tear gas, it is time to take a deeper look at the relationship between the movements for peace and for justice — movements which are no more “integrated” now than they were 50 years ago.